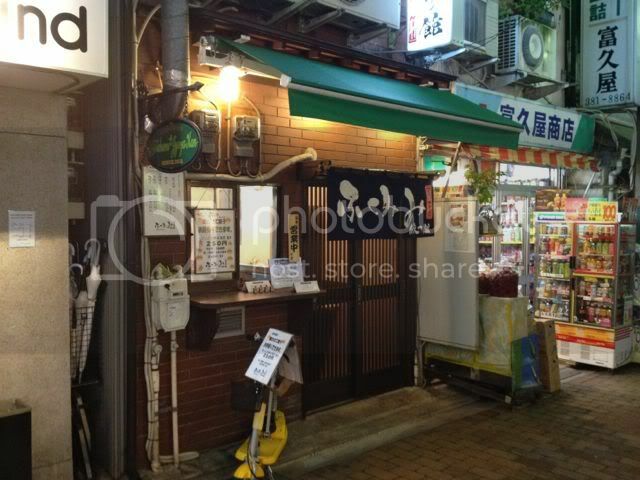 Went to this gyoza shop that Fujita san recommended while she was cutting my hair. Supposedly ranked 2nd best in Nakano. (I'm curious which is the shop ranked top now!) Since I was hungry, I thought why not go find it and oh my, it was really good, i'm also recommending it to anyone reading this! The shop is narrow and small, and only can take 6-7 people, seated along the counter. It's not a place for you to sit down and stay long or chat with friends. Meal ticket machine is just beside the entrance when you enter. Water is self service. 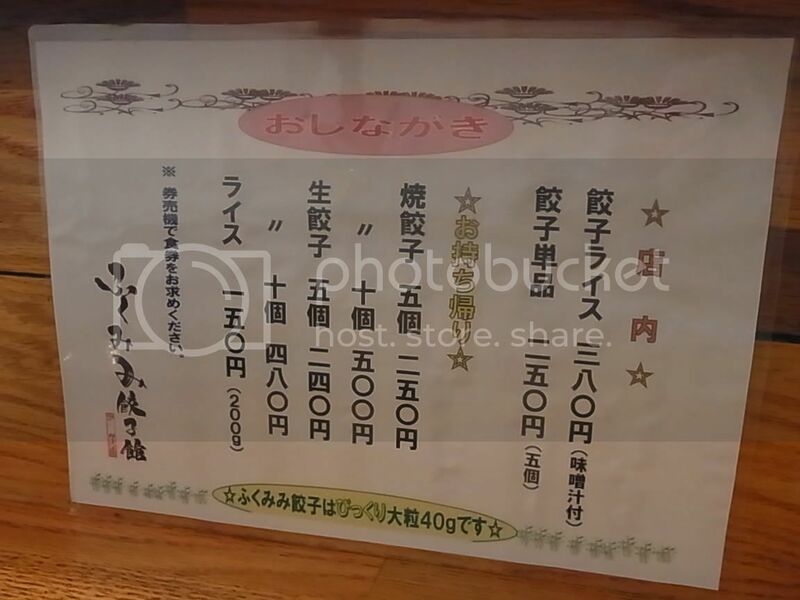 So if you're looking for something cheap and delicious in Nakano area, head over to ふくみみ (Fukumimi). Just along the レンガ坂 (renga slope) behind(?) the DVD rental shop Tsutaya, outside the 南口 (south exit) of 中野 (nakano) station (on 中央線&東西線). Opens from 11.30〜14.30 and 16.30〜20.00 OR when the gyoza sells out. 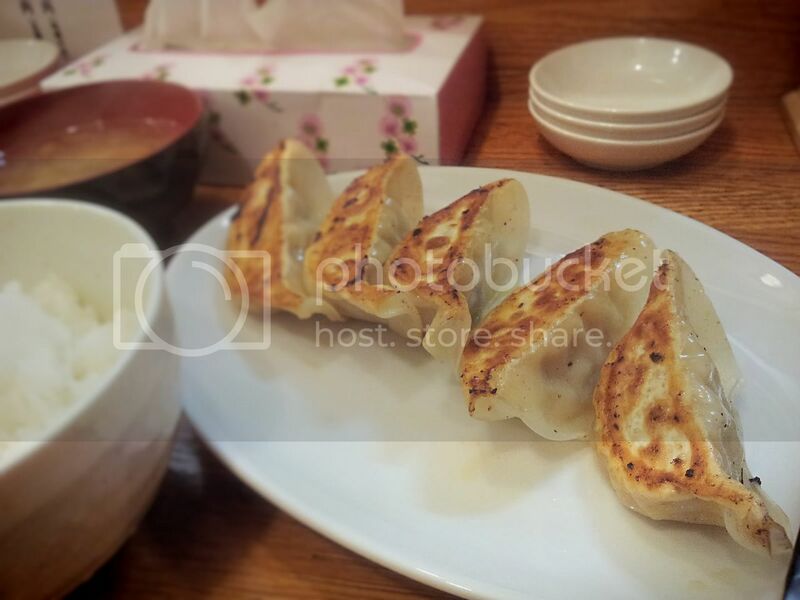 By the way, fukumimi or 福耳 "fat earloop" is so named because the gyozas are big, according to Fujita san. For good luck and wealth? haha. 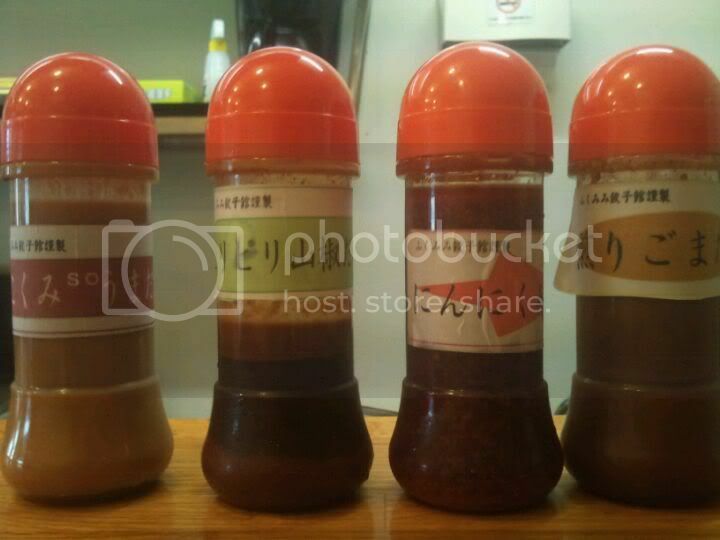 Stolen pic :x Four different kind of sauces which I didn't use. Prefer the traditional la yu and vinegar/soy sauce. My five-piece gyoza set. Oishikatta!